When La Cocina first came to Windesheim Design for graphic help, the logo had already been designed. we were able to update the color palette and develop new graphic elements to help add vibrancy to the growing business. The logo was also adapted for different uses as other needs came up. 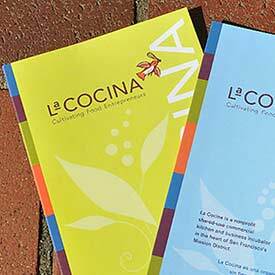 These graphic elements were developed to enhance the La Cocina brand. The stationery system uses the La Cocina bird as a background texture to add excitement. When LaCocina needed a site to be able to inform their growing audience about all that they offered, we were able to apply the “look” to a clean template that we developed as their needs grew. Leadership Search Partners asked Windesheim Design to design a logo that would represent them in the corporate world. The multilayered, lens-type graphic shows a melding of different tones with a clean sharp focus. Windesheim Design developed a responsive website design that would help LSP let people know more about their search process and results. Logo design and application to business Card. 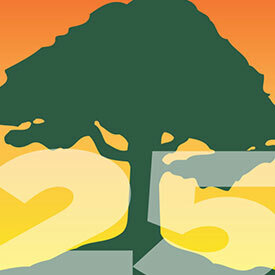 Windesheim Design refreshed the original National AIDS Memorial Grove logo. Two of the National AIDS Memorial Grove—World AIDS Day annual logo designs. Mueller Nicholls Builders post cards were designed for various markets. Mueller Nicholls Builders workers wearing branded clothing (shirts, jackets, hats, sweatshirts) help spread the MN name. 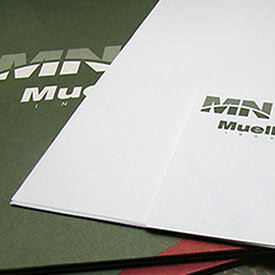 Windesheim Design designed and built the original Mueller Nicholls Builders website. 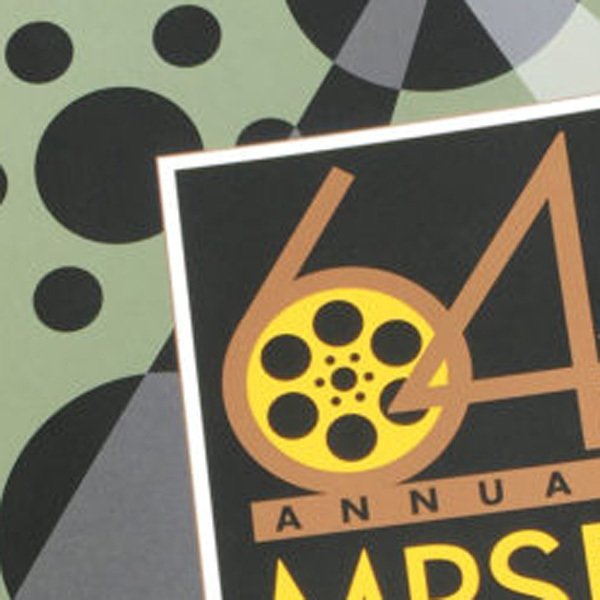 Windesheim Design designed the logo for the 64th Annual Motion Picture Sound & Music Awards. The Motion Picture Sound & Music Awards design was carried through all of the pieces of the invitation. The Motion Picture Sound & Music Awards program book (124 pages) listed all nominees in all categories along with sponsored ads. Windesheim Design worked closely with KMD Productions to ensure design consistency throughout the event.